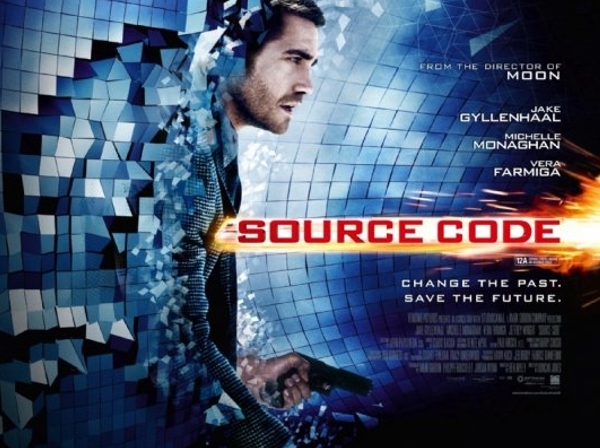 The plot of Source Code could be described as being a sci-fi version of 1993’s Groundhog Day. But instead of one man repeating the same day over and over until he finds true love and how to live, our hero repeatedly lives through the bombing of a train until he discovers who the culprit was. And it’s obviously not as funny. 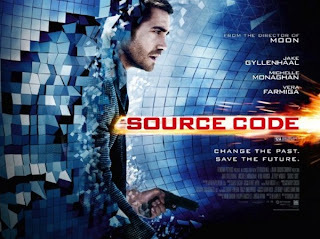 In Source Code, a marine (Jake Gyllenhaal) is part of a secret government ‘science project’ wherein he assumes the body of a man on this train where he can constantly live out the last 8 minutes before the bomb goes off. The technology is somewhat like the avatar in Avatar or the time machine in Deja Vu. The plot is obviously a lot more complicated than I described, and will keep you thinking about what just happened long after the movie is done. Plus the film runs at a breezy 93 minutes, and despite all of the repetitive scenes, the director manages to keep each repetition fresh and interesting. The score helped the movie to feel like an old-fashioned Hitchcock thriller with its classical soundtrack stylings. The thriller/mystery aspects of the movie are great. Despite the complicated details of how it all works, you never feel lost but it isn’t spoon-feeding you either and keeps you engaged. It will keep you guessing how everything will turn out right until the very end. I had mentioned in my review of The Adjustment Bureau that I didn’t like how the ‘secret agency’ in that film was handled in a light and cheesy way; but that was at least consistent with the tone of that film. In Source Code, the ‘agency’ running the avatar-like program is even more ridiculous. There is basically a mad-scientist character who attempts to explain quantum mechanics and always acting over –the-top and flustered, almost like Dr. Strangelove. Also, without giving anything away, there is in no doubt that there should be serious urgency in finding this bomber to prevent an imminent future disaster. However, this ‘agency’ seems to show very little concern in the matter and very little planning in making this technology work. It’s as if no one thought this plan through, and winds up hurting the film’s urgency and integrity.